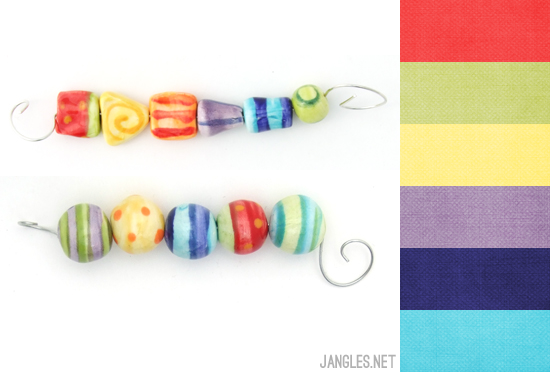 I'm totally smitten with the beads from Jennifer Heynen (aka Jennifer Jangles) - with fun colors, bright patterns, and whimsical designs, Jennifer's work is very much how I picture the spring season. I easily spent a good hour browsing through her website and her Etsy shop, smiling with each new bead I came across. They are just so much fun that it's hard not smile when I see one of Jennifer's bright owls or cute bumblebees. And, of course, the colors are fantastic and bright, which I love. 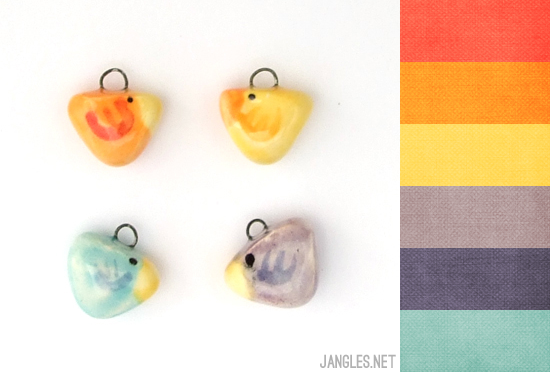 And each bead offers up several color combination possibilities, so it'd be a joy to design around them. 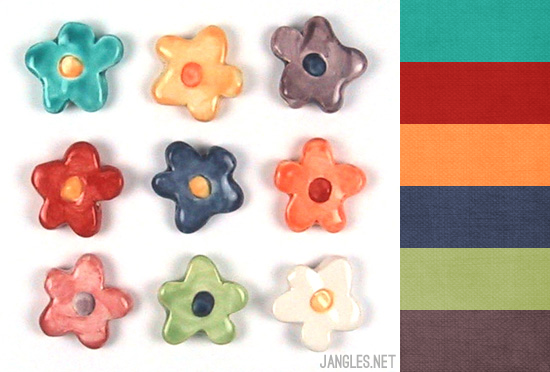 How about you - which Jennifer Jangles bead is your favorite? What colors remind you of spring? 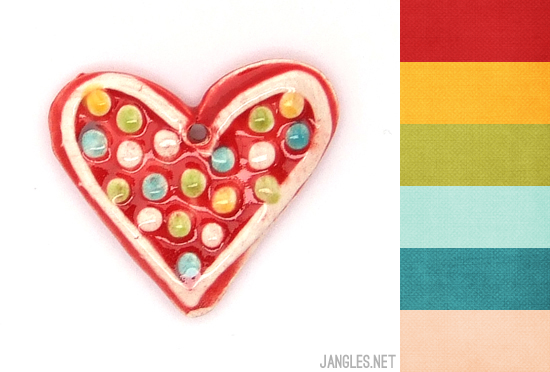 For more color inspiration visit www.brandigirlblog.com. Love those birdies - they are so cute! I love her beads for being so cute! You're so sweet to do a whole post about my beads. I am flattered you like them so much.